We are always looking to build on the relationships within our company. 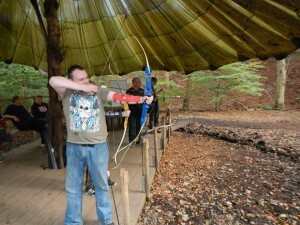 Usually working within the confines of Fairham HQ, we decided to break the mould by taking the team and venturing into the great outdoors – quite literally. Taking nothing but ourselves (and whatever contraband we could hide in our socks), we headed deep into the woods and into the unknown. 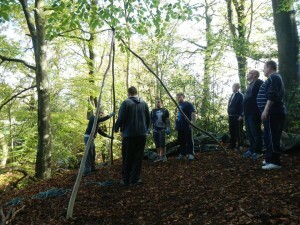 Well, Outdoor Elements Team Building and Outdoor Activities Centre. 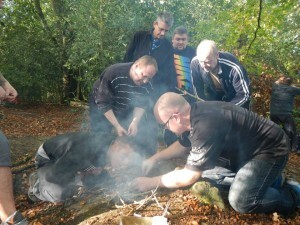 Outdoor Elements specialise in crafting tailored programmes to challenge groups and individuals, whilst strengthening team bonds. These challenges have a lasting impact on the team and its individual members, helping to develop leadership skills and personal qualities that can be transferred into the work environment. However fun, the aim of the programme is to enhance team performance, build trust and confidence and to work together – pushing in the same direction to help one another achieve a goal (without sounding too much like a motivational video). 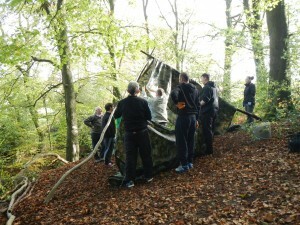 Naturally it was interesting to see everyone working together in a completely new environment, we were amazed at the effort the team put in and the levels of teamwork and comradery. Wow, that sounds corny doesn’t it?